Look with light in scatter and semi-transparent media. 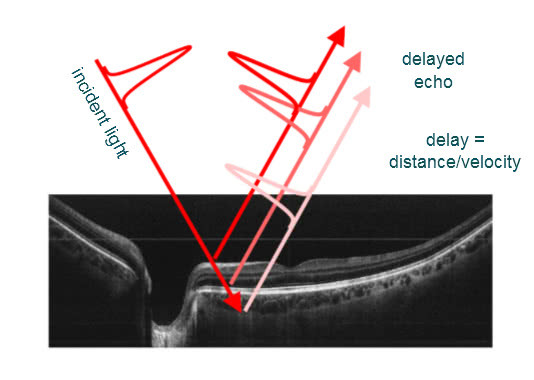 FLIO is a new imaging modality for the retina that potentially map the metabolism of the retina. 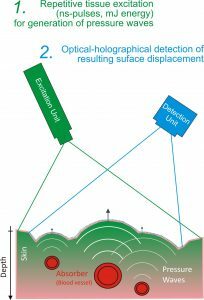 With contactless photoacoustic tomography, vessels and other absorbent structures in the tissue can be detected without contact.